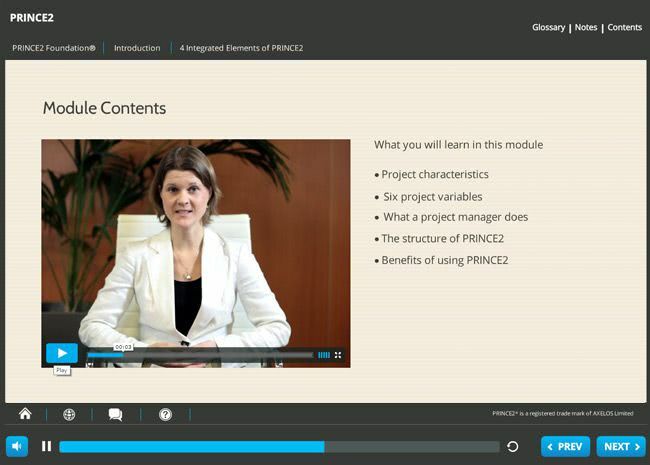 The purpose of this PRINCE2 e-learning course is to provide individual students, groups or organizations with a good all-round basis of understanding about the PRINCE2 Method best-practice. 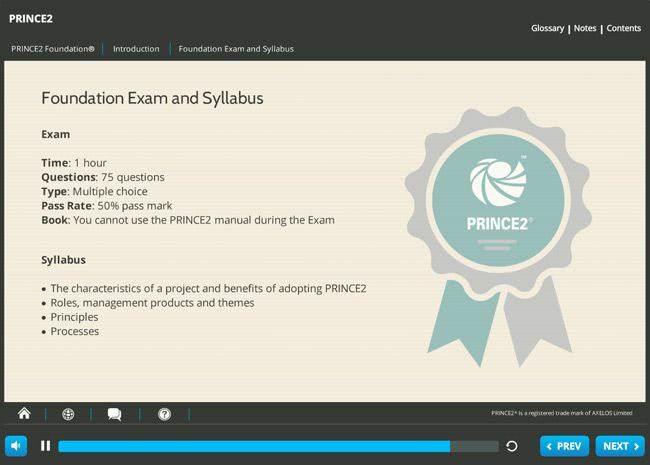 After completing this course you will have all you need to be able to sit the PRINCE2 Foundation Certificate in Project Management exam. 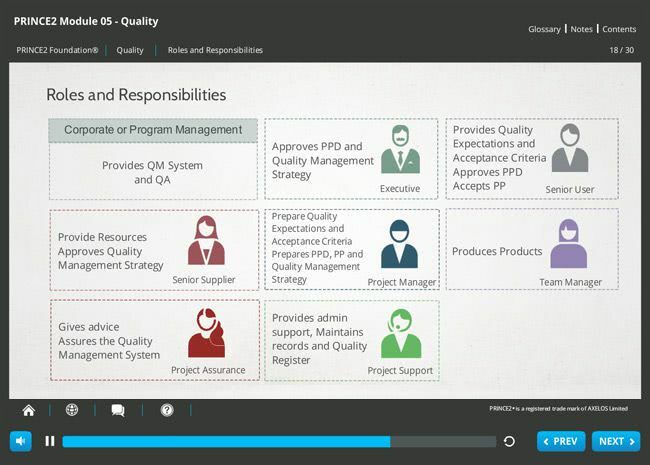 The course will also prepare you for project management in your professional life, as a member of a team that is using the PRINCE2 method, or as a member of an organization that has adopted PRINCE2. Our course has been fully accredited by EXIN, who are licensed by AXELOS as an Examination Institute for Project Management. 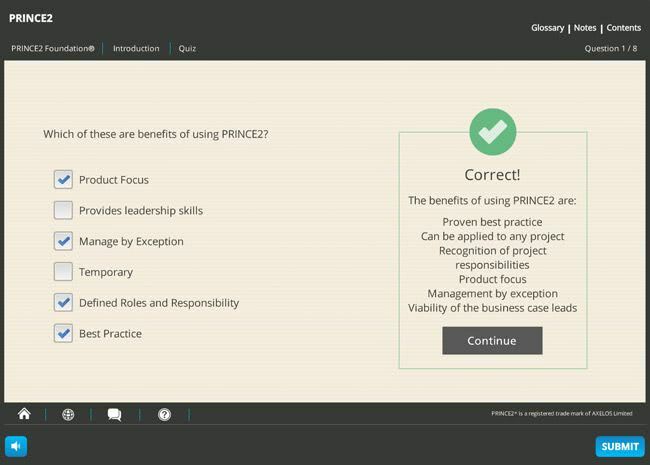 PRINCE2 Foundation is the first of a required two-part PRINCE2 Practitioner qualification for project management professionals. 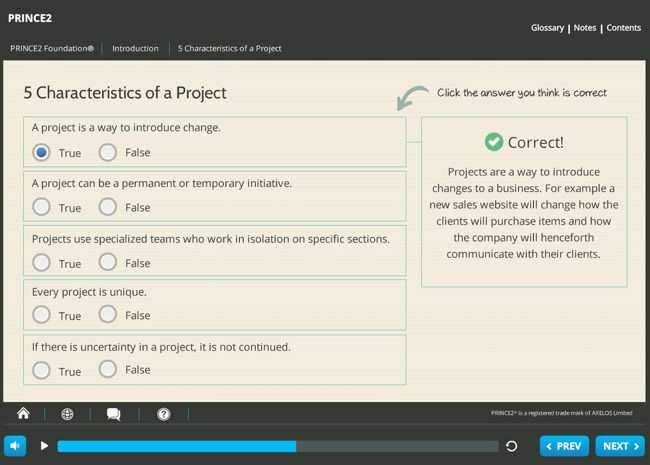 It can be studied on its own or combined with PRINCE2 Practitioner e-learning. 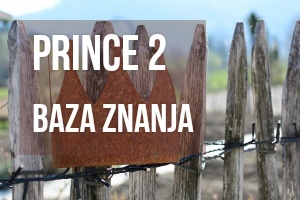 It is essential for individuals who are pursuing a career in a PRINCE2 environment, or for business professionals who would like to incorporate the flexible, process-based approach of the PRINCE2 into their day-to-day work. 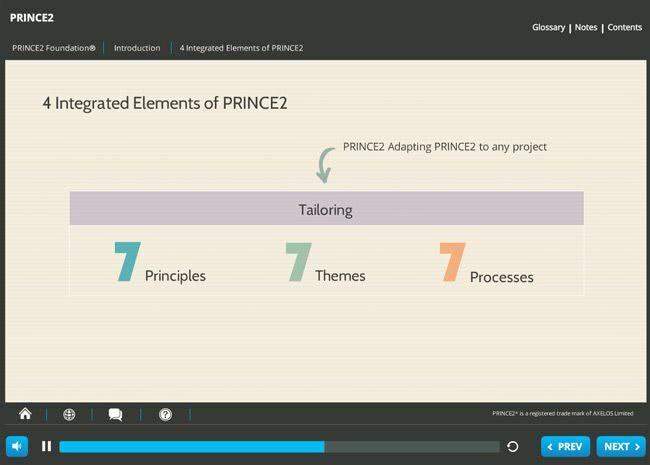 By the end of the course you will have a good understanding of the seven principles, themes and processes of PRINCE2. 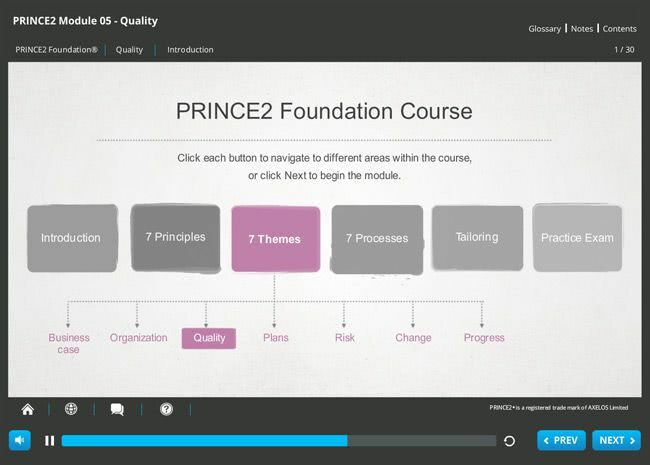 This PRINCE2 Foundation level course will provide you with everything you need to pass the Foundation level exam. 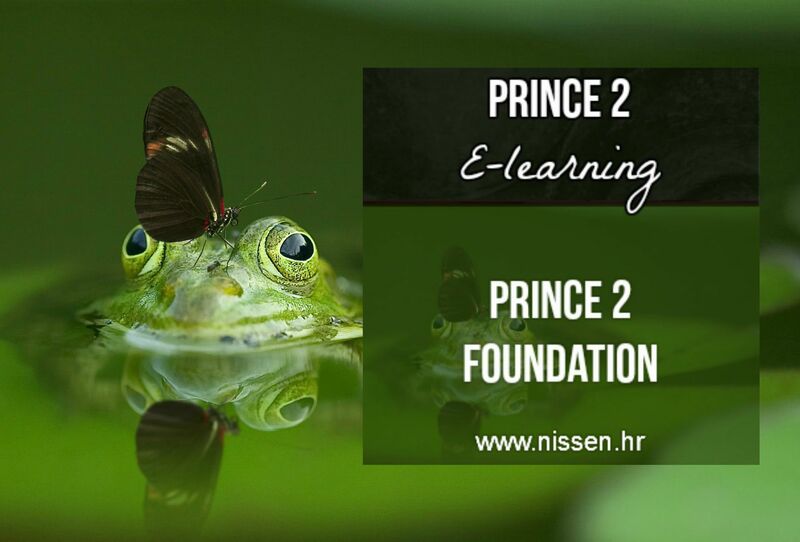 If you need help with your studies our PRINCE2 Tutor is on-hand to provide you with assistance via e-mail.